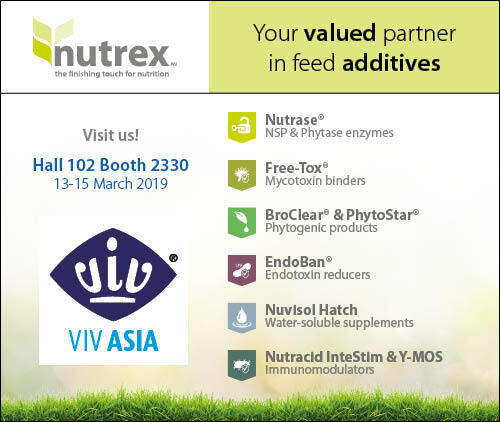 Nutrex, a leading global supplier of top quality feed additives, will be present again at VIV Asia 2019, from 13-15 March, Hall 102 Stand 2330, BITEC, Bangkok Thailand. Nutrex is dedicated to offering and constantly innovating its unique range of top quality product solutions to help enhance animal health, animal well being and increase performance in a wide range of poultry production types. Our booth number: Hall 102.2330, we look forward to seeing you there! Please click here to register.